The league’s premier tight ends are too fast for linebackers, and too big for defensive backs. 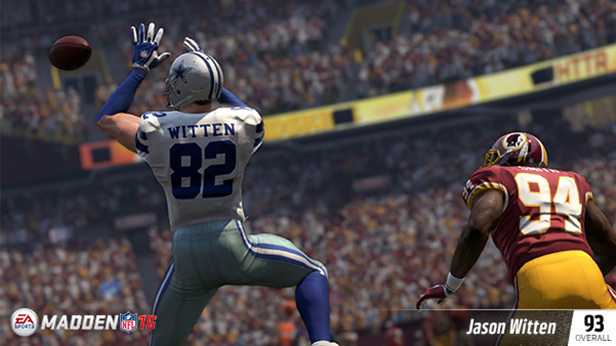 Check out the top-rated tight ends inMadden NFL 16, including a new arrival in Kansas City. 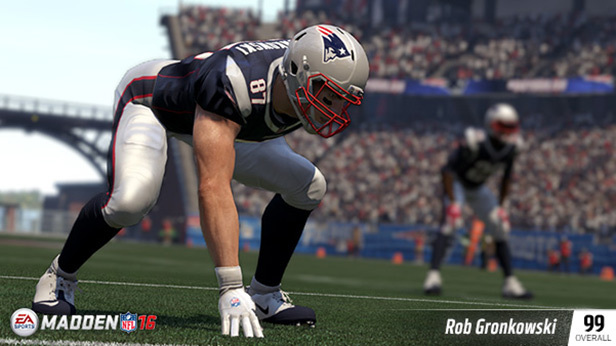 Gronk has three of the top ratings among tight ends with 94 Spectacular Catch, 98 Catch in Traffic, and 95 Release. He adds 94 Catching and 82 SPD/87 ACC/84 JMP/84 SFA. When healthy, there’s nobody better. 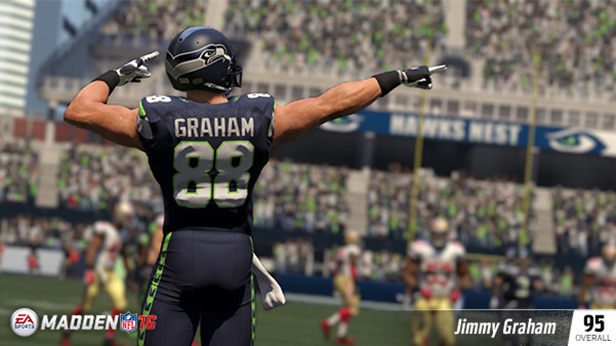 Russell Wilson will welcome Graham and his 92 Catching, 90 Spectacular Catch, and 88 Catch in Traffic. He can fight for the ball with 85 SPD/92 JMP/87 RTE/88 REL. Witten does not dazzle with speed and quickness, but still features skills like 95 Catching, 92 Catch in Traffic, 88 Route Running, 85 Release, and 79 Spectacular Catch. Olsen is an exceptional end zone target for Cam Newton with 89 Catching, 89 Jumping, 88 Spectacular Catch, 88 Release, and 87 Catch in Traffic. 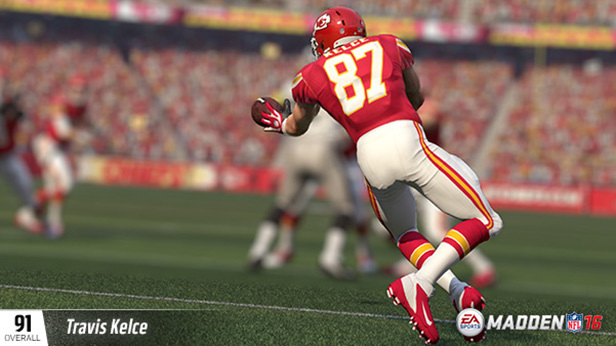 After missing his entire rookie season due to injury, Kelce shined in his on-field debut in 2014. 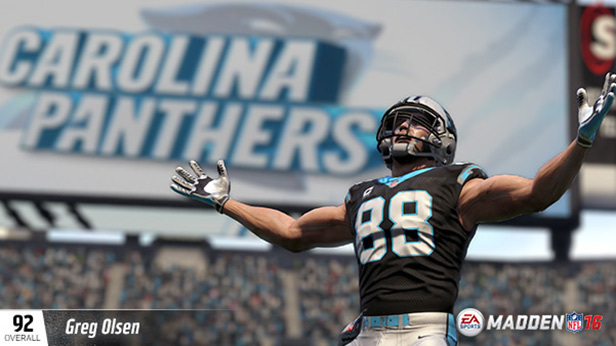 He brings 89 Catching, 89 Jumping, 88 Spectacular Catch, 87 Catch in Traffic, 88 Release, and 81 Route Running. He also features 85 Run Block, tops among tight ends.